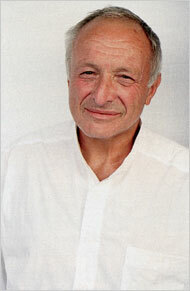 The British architect Richard Rogers was chosen to design Tower 3. 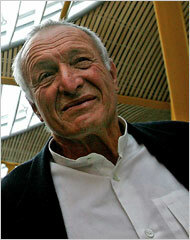 The British architect Richard Rogers, who helped create the Pompidou Center in Paris and is remaking the Jacob K. Javits Convention Center in Manhattan, has been chosen to design a tower to be built by the developer Larry A. Silverstein at the former World Trade Center site, officials are to announce today. Lord Rogers will design Tower 3 at 175 Greenwich Street, which will include two million square feet of office space. The Japanese architect Fumihiko Maki is to design Tower 4 at 150 Greenwich Street, with 1.8 million square feet of office space. Although Mr. Maki was chosen by Mr. Silverstein in 2003 for the roster of designers at ground zero, his mandate was unclear until now. Tower 3 is Lord Rogers's fourth major commission in New York. In addition to the Javits Center, which he is designing with FX Fowle, he is involved in a $200 million project to transform a two-mile stretch of the Lower Manhattan waterfront and a $1 billion expansion of Silvercup Studios in Long Island City, Queens. "It seems like everybody's lined up together now with the desire to move forward," Mike Davies, the director of Richard Rogers Partnership, said in a telephone interview. The design work on both Tower 3 and Tower 4 will begin immediately, Silverstein Properties said, with concept drawings due in four months and construction expected to start in 2007. Given the squabbles that have repeatedly delayed reconstruction at ground zero, such projections are likely to be treated with skepticism. And some planners have questioned whether a coherent aesthetic can emerge at a site involving so many cooks. In addition to Daniel Libeskind, who designed the master plan for the site, architects include David C. Childs, designer of a so-called Freedom Tower; Norman Foster, chosen in December to design Tower 2; Michael Arad, creator of a proposed ground zero memorial; Santiago Calatrava, whose PATH station is now rising at the site; and Frank Gehry, who was drafted to design a performing arts center. "The lack of uniformity makes for tremendous excitement," Mr. Silverstein said. "Diversity here is a hugely important goal." Mr. Silverstein has often sparred with the Port Authority of New York and New Jersey over the terms of his development deal. Last week he agreed to surrender control of the $2 billion Freedom Tower, although he will be paid a 1 percent fee to build it under the supervision of the Port Authority. But Mr. Silverstein's associates emphasized that the various architects and planners were striving for cooperation. Representatives of Lord Rogers and Mr. Maki met yesterday with Port Authority officials, construction officials and a representative from the office of Lord Foster. "It was really about the specifics of how exactly are we going to get these designs done," said Janno N. Lieber, senior vice president for Silverstein Properties. "This has got to be a different kind of a process. It's got to be collaborative from the get-go." Silverstein Properties recently completed 7 World Trade Center, a 52-story skyscraper north of ground zero, also designed by Mr. Childs. Although the French architect Jean Nouvel had originally been chosen to design Tower 5, Mr. Silverstein's recent deal turned control of that building over to the Port Authority, and it is expected to be sold to a residential developer. But Mr. Lieber said, "We very much hope that, whether it's the Port Authority or some other development entity, they would consider using Nouvel, because he's of the design stature that this warrants." Under his agreement with the Port Authority, Mr. Silverstein is to develop Towers 3 and 4 ahead of Tower 2 because of their concentration of retail space, the developer's office said. "It's early stages" for Tower 2, said Michael Jelliffe, a partner at Lord Foster's firm. In addition to the Pompidou Center, which he designed with Renzo Piano in 1977, Lord Rogers is perhaps best known for the Millennium Dome in Greenwich, England, Among his other prominent buildings are the Barajas Airport in Madrid — a sequence of steel waves — and his law courts in Bordeaux, France, comprising seven courtroom "pods" within a glass wall under an undulating copper roof. Mr. Maki, 77, won the prestigious Pritzker Prize for architecture in 1993, only the second Japanese architect to do so, after Kenzo Tange in 1987. In its citation the Pritzker jury wrote, "He is a modernist who has fused the best of both Eastern and Western cultures." In Manhattan, Mr. Maki is also designing a 35-story expansion of the United Nations that would also allow for the renovation of the Secretariat building and supplant the Robert Moses Playground on First Avenue. His other buildings include the Yerba Buena Center for the Arts (1993), part of a large scale redevelopment in downtown San Francisco; the National Museum of Modern Art in Kyoto, Japan (1986); and the Tokyo Metropolitan Gymnasium (1990). Although ground zero is viewed as something of a hornet's nest, the architects said they were undaunted. "Obviously there's a lot of politics," said Mr. Jelliffe of Foster & Partners. "But we're happy to work within those." I'm thinking that they're putting off 2WTC because of the hotel. They want to open it to a finished complex, not a construction zone and they were unable to find a better site than Tower 2 that could be delayed. Q: You have just been chosen to design one of the office towers at the former World Trade Center site, which, curiously enough, will be rebuilt mainly by European architects. Do you see any stylistic differences between European architects and their American brethren? European architects tend to be more environmentally conscious. In Europe, for instance, I hardly ever use air-conditioning. I hope you're not thinking of constructing a 60-story office tower here without air-conditioning. It would be a total dud. No, but Americans use gas and oil like water. One of the things you see in New York is that offices keep their lights on at night. They're proud of their building. Great. But they must find another way to be proud without draining energy. Well, perhaps you and your fellow British lord and former partner, Norman Foster, can teach us how to switch off the lights and sit in the dark, since he will be designing an office tower near yours. How do you two get along? He regularly eats at my wife's restaurant, the River Café in London. So we see each other. It doesn't sound as if you're very close. Probably my closest friend is Renzo Piano. He's a passionate sailor. We go sailing together, and he fills me in on the latest things that have happened in the technology of boats. The two of you, of course, designed the Pompidou Center in Paris, which opened in 1977, and was instantly famous for being inside out — it wears its plumbing and guts on its exterior. Textbooks describe you as the founder of the high-tech school of architecture. I certainly don't think of myself as high tech. Most buildings, whether they're Gothic cathedrals or Romanesque ones, were high tech for their time. You've also been chosen to redesign the Javits Convention Center. Some New Yorkers suggested you be removed from the project after it was revealed that you'd been involved with a group called Architects and Planners for Justice in Palestine, from which I hear you have distanced yourself. I am not going to say anything. I am sorry, but this is the one thing.. . .My wife and I decided we weren't going to talk about it. For a while, it is better to put it behind one. Are you concerned about the profusion of quarrels surrounding ground zero, the latest of which has pitted Governor Pataki against the two designers of the memorial, who claim they need nearly $1 billion for their below-ground reflecting pools? The governor thinks half that amount should do. One billion dollars? By the way, the Pompidou Center was a very low cost building. It cost $100 million. But that was nearly 30 years ago. You can't compare it with the cost of a memorial today. A specific memorial is obviously important. But the whole area is a memorial. The buildings are a memorial. I hope they have a very high standard so that the buildings will also be part of that memorial. Your firm is known to be socially progressive, declining any military contracts and limiting the salaries of employees, including yourself. We have a constitution, which specifies that the directors get no more than six times the salary of the lowest-paid architect, and the rest of the money goes either to profit sharing or charities. Can you tell us about your childhood near Wimbledon, England, in one sentence or less? I had lots of trouble in school as a child, and I lost confidence. Teachers thought I was stupid. I learned to read very late, when I was 11. Dyslexia wasn't recognized then, and the assumption was you were incapable of thinking. Dyslexia may help explain why you reverse the inside and outside of your buildings, or at least try to make them easy to "read," as you said. Perhaps. Another advantage of being dyslexic is that you are never tempted to look back and idealize your childhood. Looking ahead, how do you feel about having to spend so much time in New York, presiding over your many projects? I love New York. I have five sons, one of whom lives in New York, and I stay with him when I visit. He runs a company called OZOcar, which is the first limousine company which is environmentally friendly. All their cars use hybrid fuel. Do you drive a hybrid car? I don't own a car. I drive a bicycle. ... the whole area is a memorial. The buildings are a memorial. I hope they have a very high standard so that the buildings will also be part of that memorial. He regularly eats at my wife's restaurant, the River Caf&#233; in London. So we see each other. OH......" tell us about your childhood, in one sentence or less. " It seems to me the interviewer here was a bit rude: to put in kindly. Last edited by infoshare; May 21st, 2006 at 10:37 AM. Lets bump up this thread! I have a strong feeling that this will be one of New York City's signature and most popular buildings. I can't get that image of two tall spires after a series of setbacks out of my mind. I have no rational for believing this, but that sketch made me think of tall art deco / neo gothic towers that were never built. Like Gotham city, 1100 feet of stone and steel. Not glass walls and junk, but a solid castle in the sky. Agreed. For now, my attention has certainly shifted one block south. what sketch are you referring to? Ah, now I know what that sketch reminded me of! 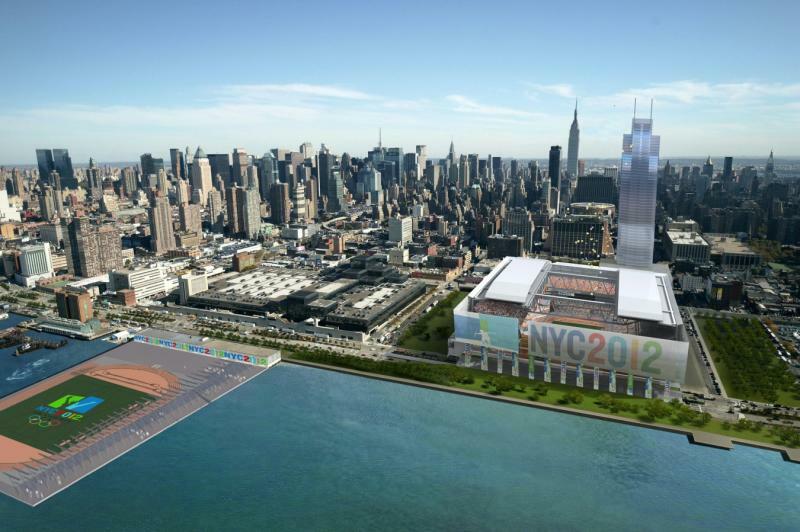 It wasn't any building in Chicago; it was proposed to be part of NYC's bid for the 2012 Olympics. I think it was called the International Broadcast Center. Stern, would you happen to know what I'm talking about? And is it a good comparison? The building kind of reminded me of the ATT Building in Chicago, only because I've never been fond of it, and the image sticks in my mind. The elevation shows a much better shape than the Media Tower and ATT Building. It looks alot like the never built Skynedle without all the top setbacks and two tall spires in place. Sorry guys this is the best I could do with this computer. Last edited by NoyokA; June 22nd, 2008 at 09:19 PM. I think that this will be the best of the WTC Towers. Also, it's very interesting that we both thought of towers that were designed by Cesar Pelli. Last edited by pianoman11686; September 6th, 2006 at 07:49 PM. I wouldn't conclude too much from that sillhouette of tower 3. I for one know very little about that tower. Better to wait a couple more hours before getting excited.